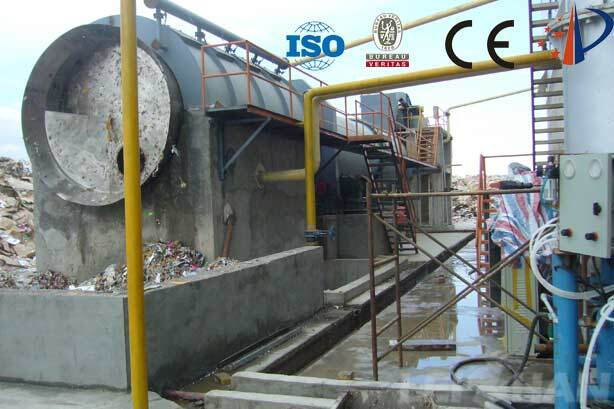 Waste Paper Coarse Screening Machine Drum Pulper is mainly composed of a feeding hopper, a rotating drum, a sieve drum, a water spray pipe, a transmission device, a base and a platform. In practical applications in the papermaking process, Drum pulper is mainly used for OCC, ONP, OMG, MOW’s processing. Excellent pulp quality: 1. Decompose waste paper fibers without shredding waste and producing fine fibers. 2. Pulp is roughly selected and the plastic, adhesive tape, foil and hot melt adhesive are removed under high concentration without fiber loss. The impurities tend to remain as they are, with little damage. High deinking efficiency: Under high concentration conditions, the chemical action is strong, so that the ink molecules are fully separated from the fiber surface, reducing chemical consumption, shortening the processing time, and achieving a higher deinking effect. Reliable continuous slagging: Has a screening section, continuous slag discharge, a large amount of impurities, and high slagging efficiency, which can reduce the burden of the subsequent purification process. Energy saving effect is obvious: Each pulp consumes only 15KW-20KW of power, no need to consume unnecessary stirring, cut fibers and impurities, and energy is only consumed on the drum. Welcome to consult with us for Waste Paper Coarse Screening Machine Drum Pulper, we can supply the Pulping Machine to friends of paper mills in various countries.